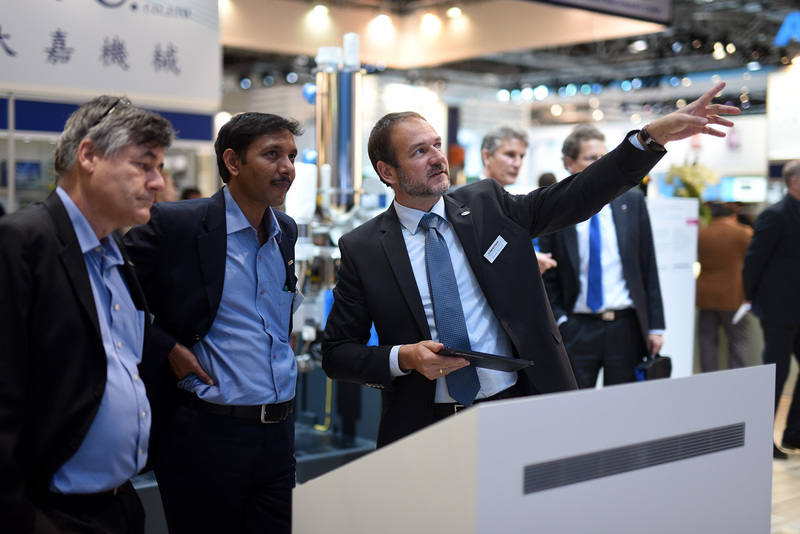 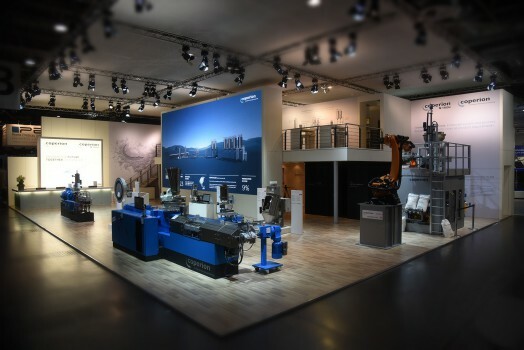 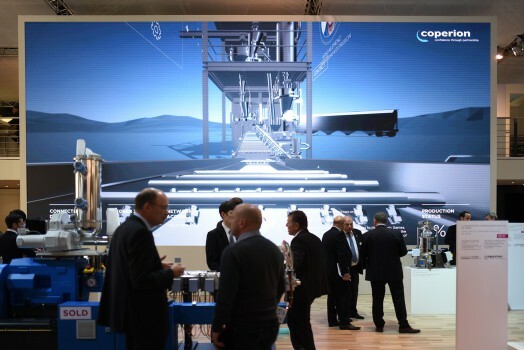 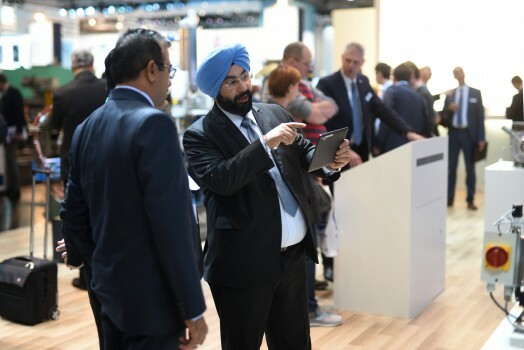 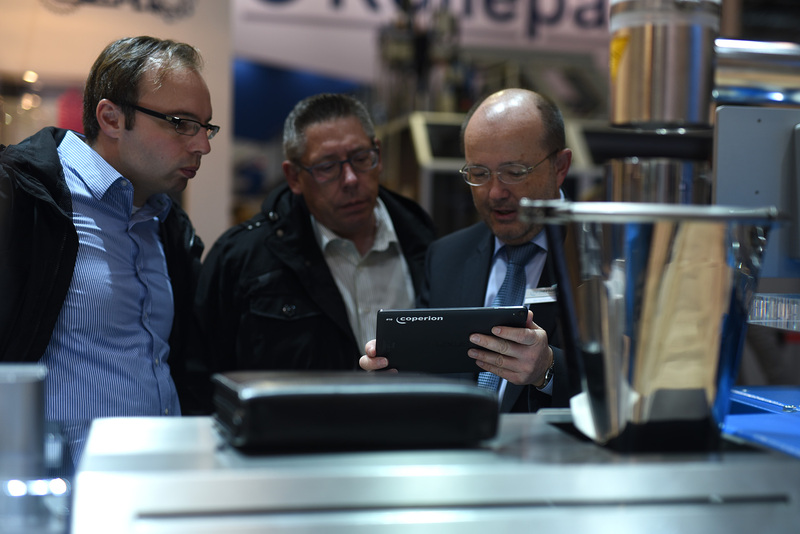 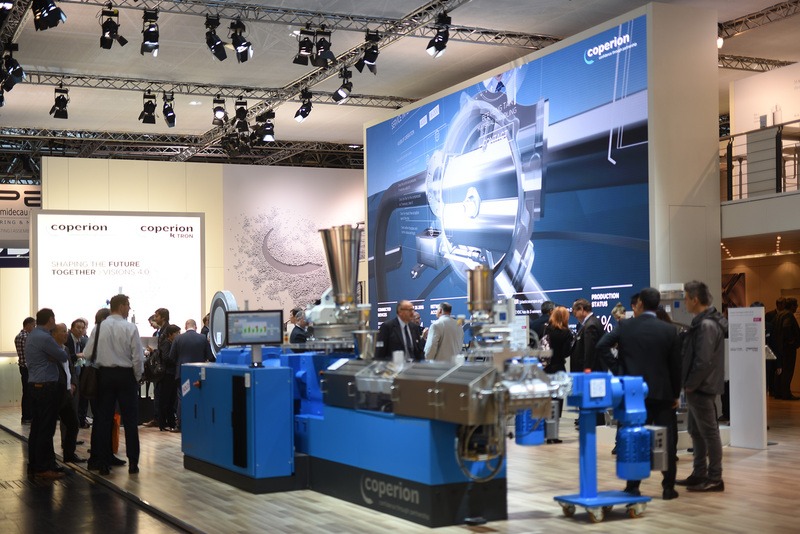 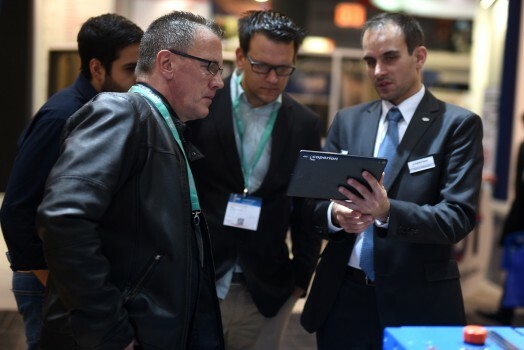 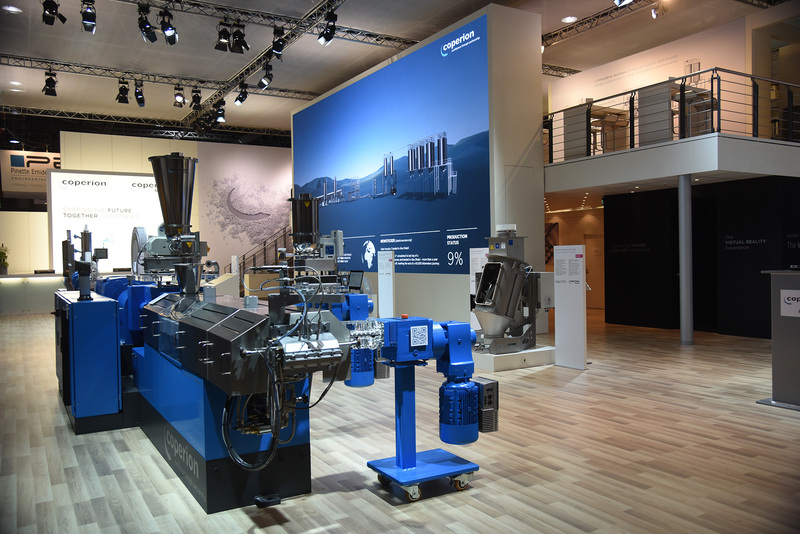 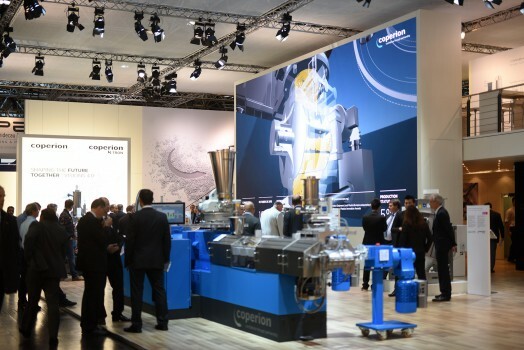 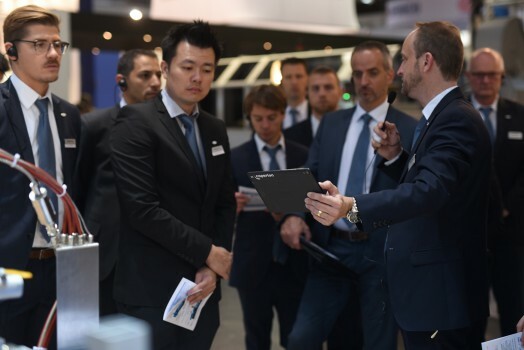 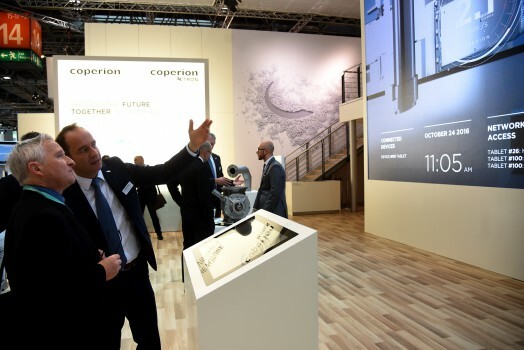 For the Coperion exhibition at the 2016 fair in Düsseldorf (from October 19 to 26, 2016), we developed various applications about the overall topic »Industry 4.0«. 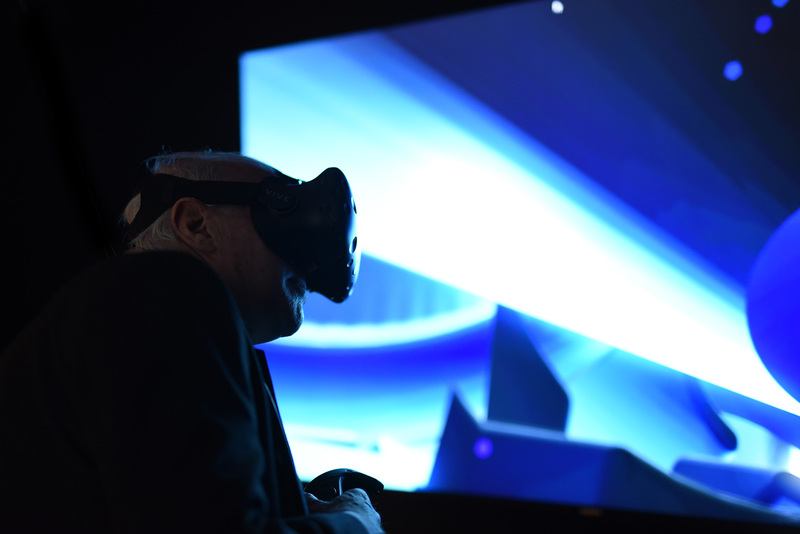 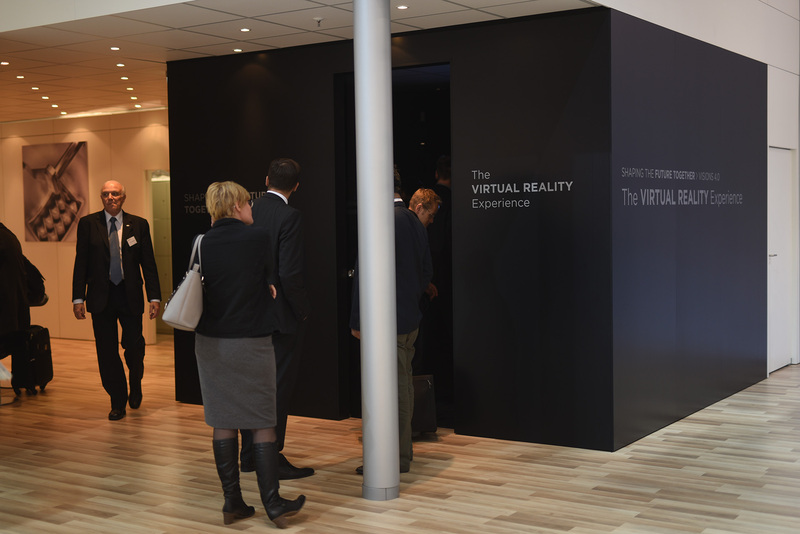 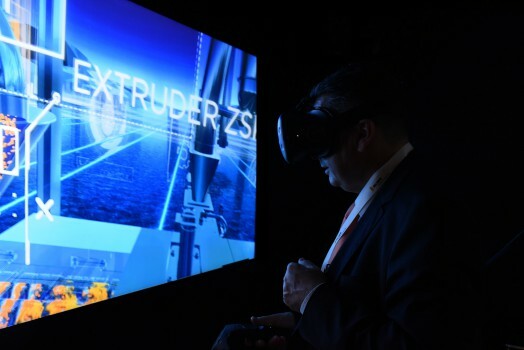 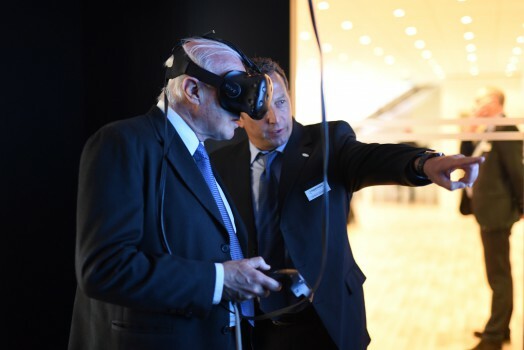 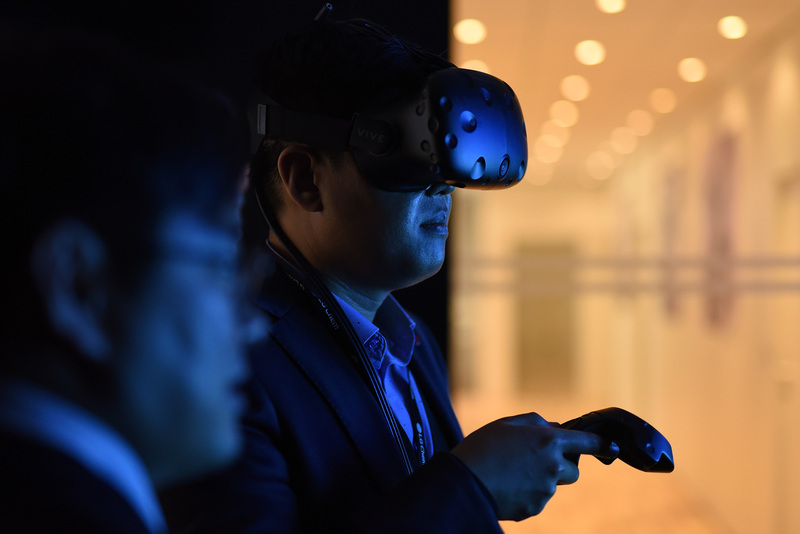 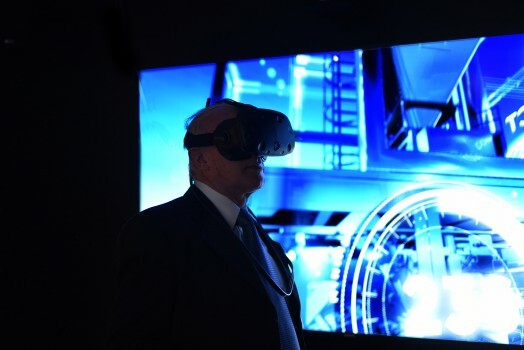 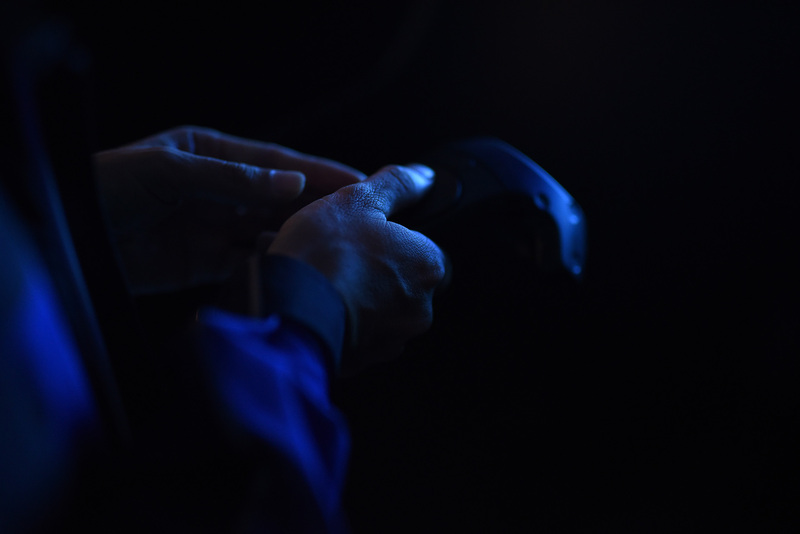 A simulation of a complete compounding system was realized by a VR experience. With this application, the virtual operation of a real system was simulated. It is possible to obtain detailed insights into processes, to plan maintenance topics or to ensure the traceability of raw materials. 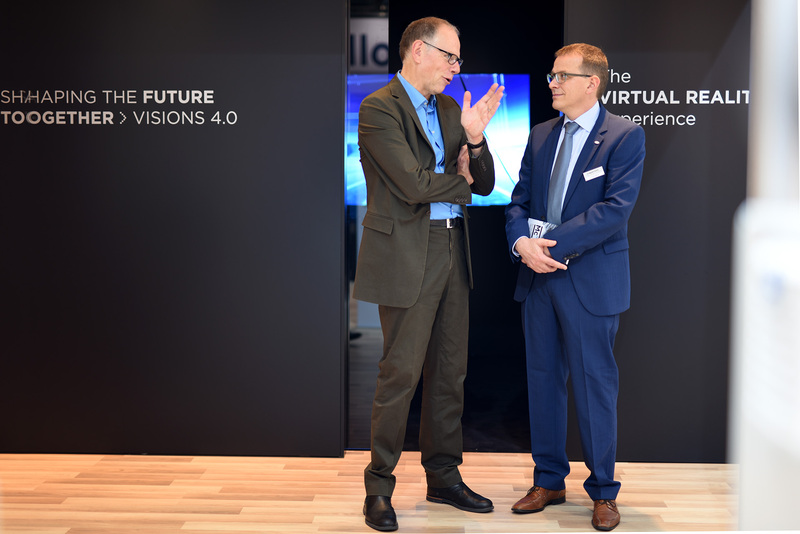 In future, the virtual counterpart will optimize many processes in planning and communication. 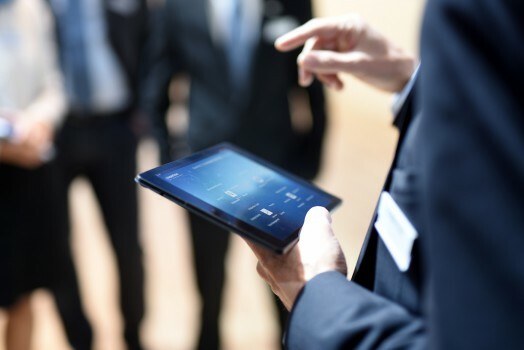 Prototypically we developed different apps for the monitoring of plants and components. Focused on the optimization of production processes and the structural planning within the company network. 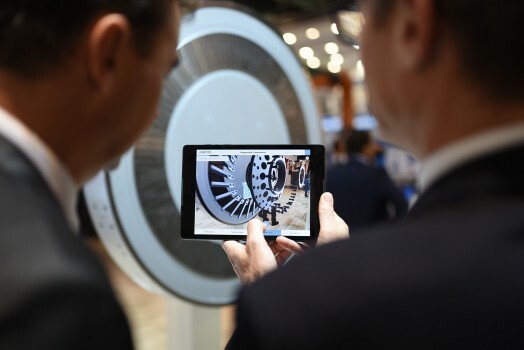 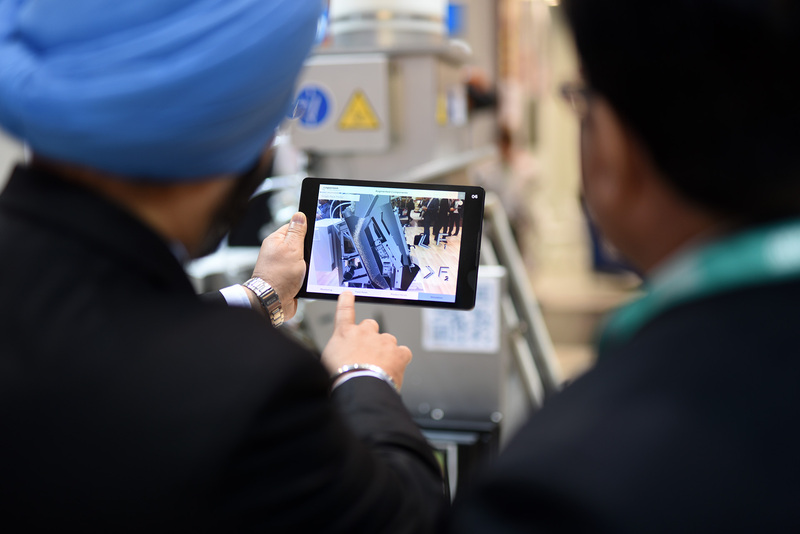 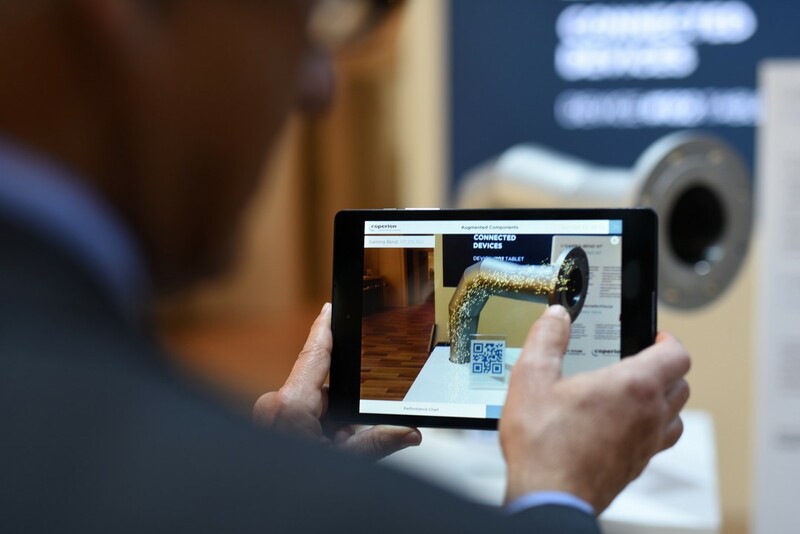 With the developed AR application, processes within components could be explained directly at the exhibition-objects. Also the possibility to implement processes for monitoring, maintenance and service issues was implemented via augmentation. 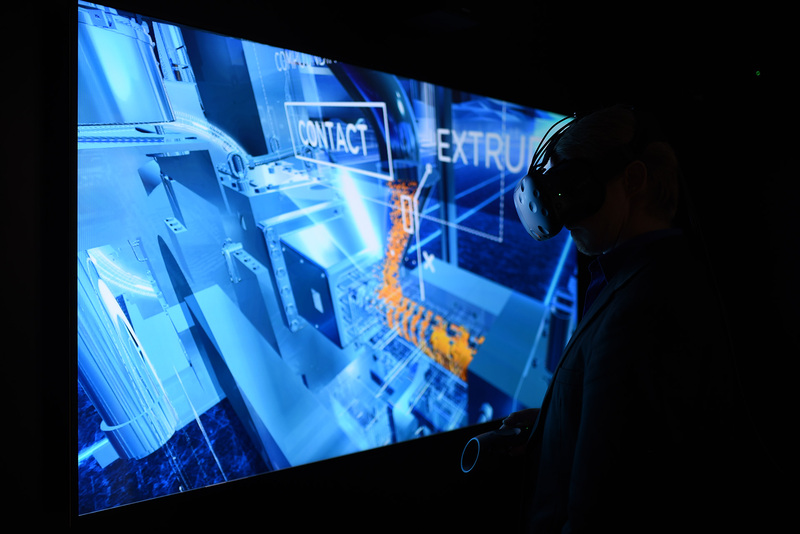 By an interaction terminal, the visitors were able to control a virtual system on the LED wall to get a view inside the processes. 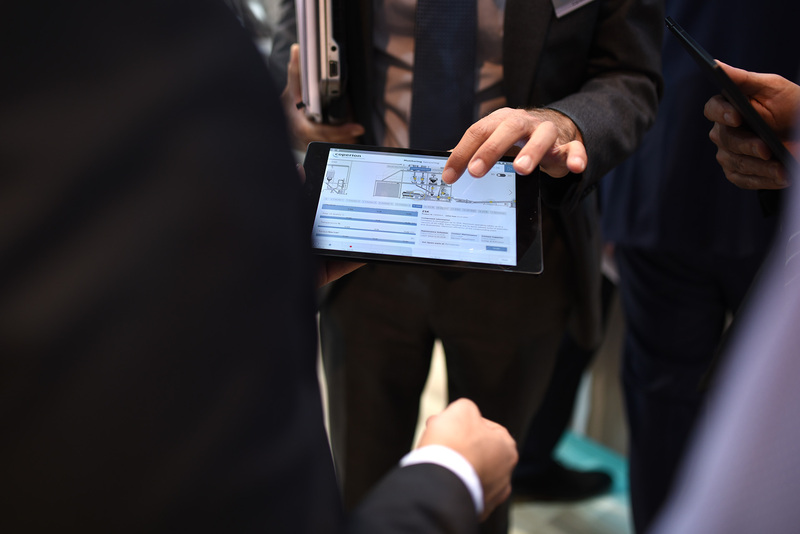 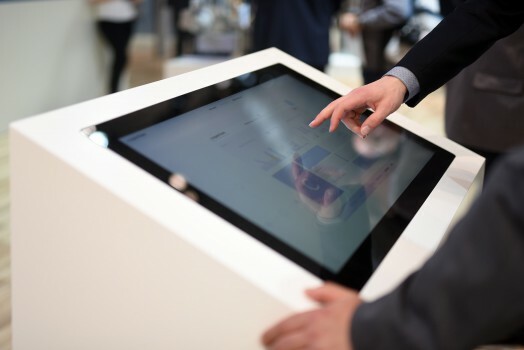 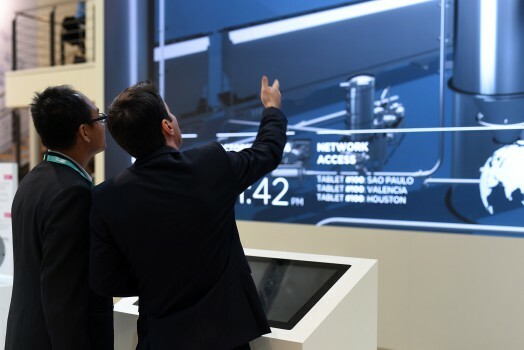 Also all tablets on the booth were linked to the virtual system on the wall … so at any time it was possible to see who is currently connected and accessing information. 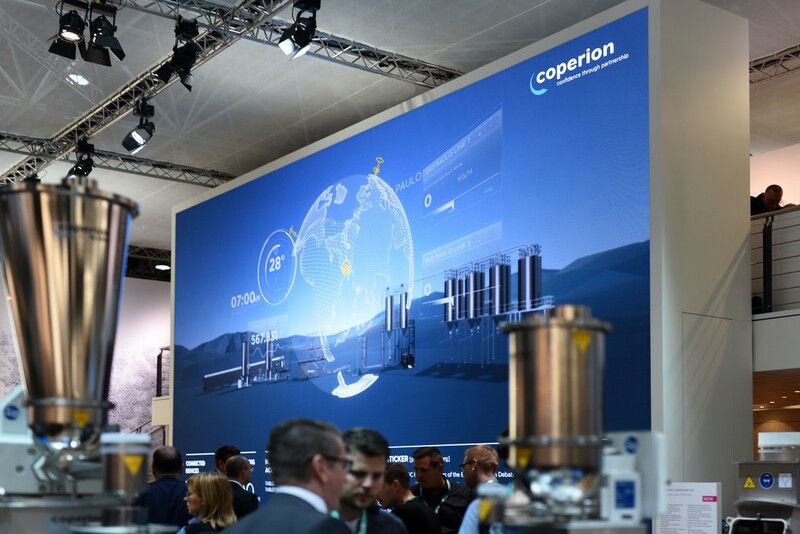 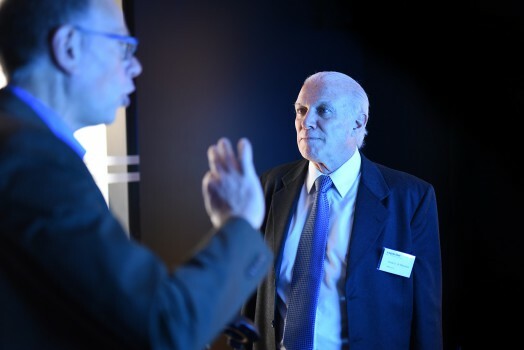 (Technical realization of the LED-Wall in cooperation with MediaScreen).